The tour was too rushed. There was not enough time to even go into the wineries to buy wine. On a more positive note, Mike, our guide was great! So this trip basically feels like you are being shuttled around to wineries to just buy wine. There really was no time to see the estates or learn much about the environment you 're visiting. The two wineries are great and did their best to explain and show but with such limited time they basically could just let us taste and buy and send us on our way. Siena was the only town worth seeing and after the guided part of the tour we only had about 30 minutes to explore on our own. The other towns we visited were pointless and should've been eliminated to allow more time at Siena. The guide was not knowledgeable and was hard to hear in a large group as well as seemed very unfocused and uninterested. Still don't even know her name. The dinner is a waste of money. The one thing we were looking forward to was a nice steak and I couldn't have been more disappointed. Could've cooked better steak at home. No one asked what temp I prefer my meat and it came out basically mooing. No seasoning whatsoever. It almost seemed as though the restaurant wasn't even expecting us. We were made to sit in a back room of the venue even though all the other customers were sitting outside enjoying the beautiful evening. The guide was busy complaining all meal about how long it was taking because she had a train to catch. 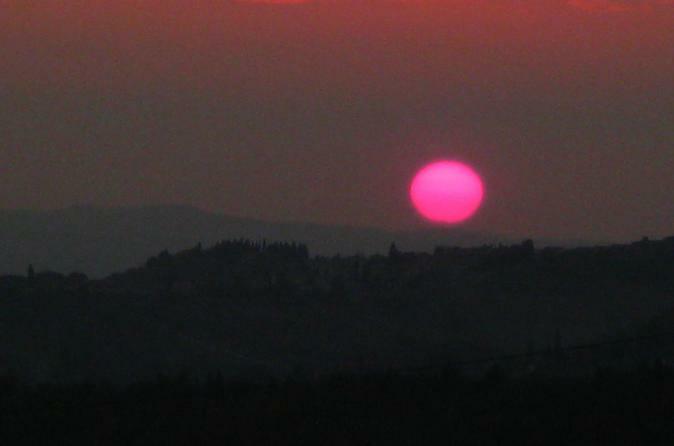 The positives were the scenery, the wine, meeting some other nice people and Siena. We use Viator for most of our tours and have loved all the others but this was a complete waste of money. Such a wonderful tour . Amazing! Our guide was fantastic, she even got us a private wine tasting so we didn't need to wait for the rest of the excursion because just a few of us booked the dinner which was superb! I highly recommend it and make sure you book with dinner and with steak! Definitely a must do when in Tuscany. The wineries were nice and the dinner was in a very small town. Food was good, however I would recommend that you get the beef/steak dinner. A perfect tour that from Florence. 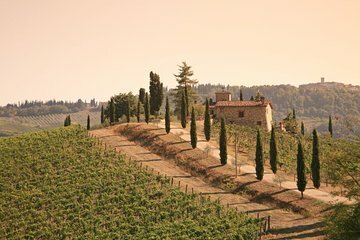 We visited 3 magical Tuscan villages and 2 wineries. Our tour guide Barbara was knowledgeable, spoke perfect English and took an active interest in everyone's welfare. At Poggio Amorilli, Barbara arranged for a separate wine tasting. Dinner and setting was sublime. The wine at the wineries was great. So was the guide. The food at the restaurant where we ate was mediocre at best and the wine at the restaurant was not palatable. Loved the wines, the beautiful scenery, knowledgeable tour-guide and the dinner! Would definitely recommend this tour to anyone! Everything was excellent. From the wine tasting to the visit of the villages. Highly recommend it. It was something different. They give you a good amount of different wines to taste for those who love wine. Cheeses, balsamic vinegar, bread, jams, and meats are also given. The bus is nice and comfy. If you get seasick, carsick, airplane sick easily this might not be for you. We went up and down on many curves. We also went to 2 small towns for like 30 minutes each. I am someone who has motion sickness issues and miraculously i didn't vomit. I was kind of closed but we stopped to eat our dinner at the end of the trip. The Tuscan dinner was mediocre. I only liked the fries which i'm pretty sure it is not Italian. It really looked gross. Dinner was a disaster. I did like meeting other people.